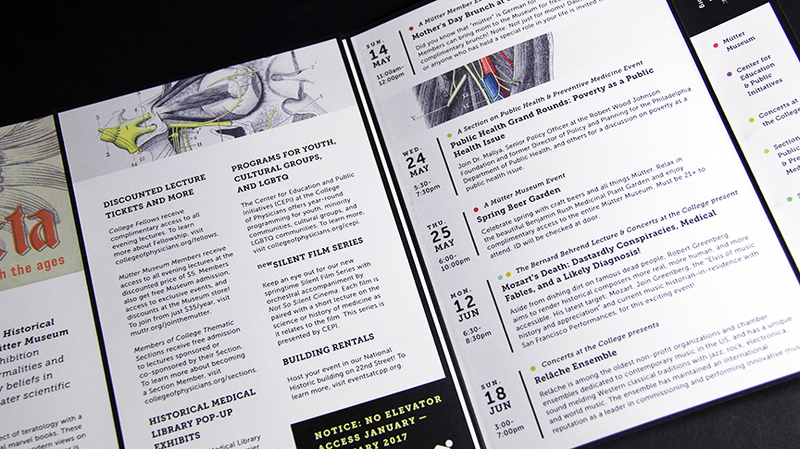 Perfect recently printed this events brochure for The College of Physicians of Philadelphia’s Mutter Museum. The brochure highlights the activities, lectures and programs being held at the museum in 2017. 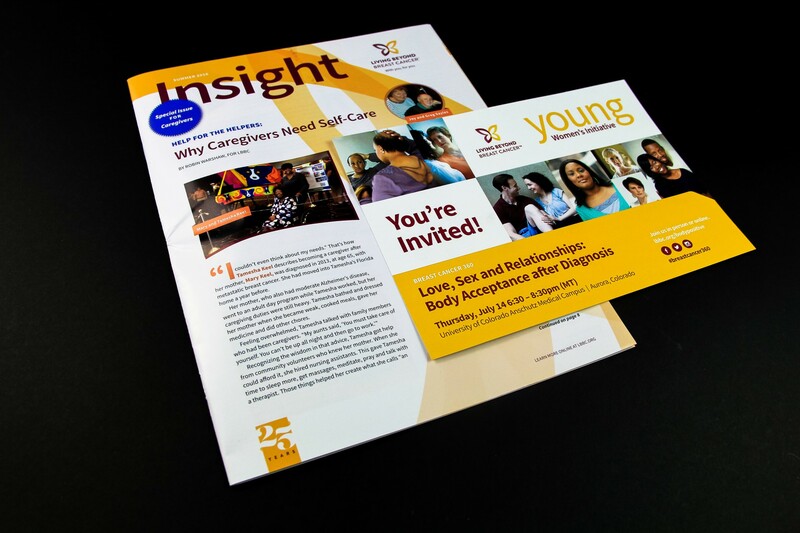 The 4-color 5.5 x 8.5 brochure used an opaque cover stock. 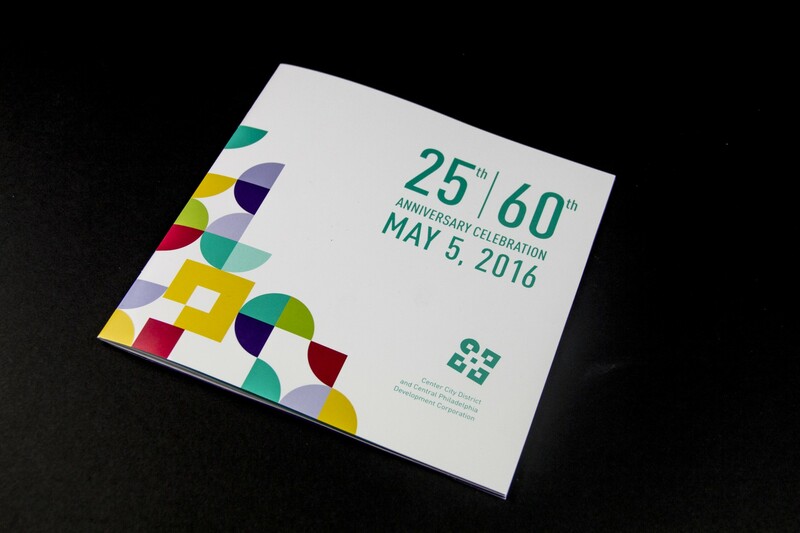 Perfect printed this 16-page, 7.25-inch square booklet that served as the program for the Center City District’s recent anniversary celebration. The booklet was printed 5-color (four color + a PMS) on dull text and cover stock, and it received an aqueous satin coating. 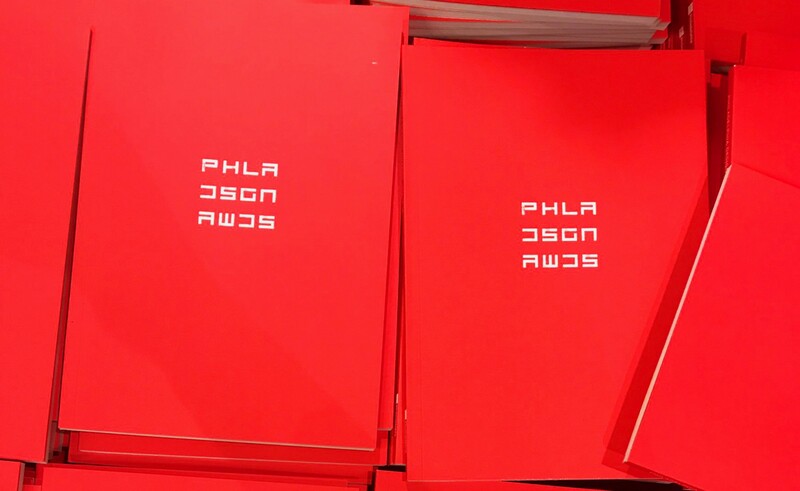 The back cover included a 4.5-inch pasted pocket designed to hold a donation envelope the Center City District distributed in the booklet at the event. Perfect recently helped long-time client AH add some visual interest to its office space. 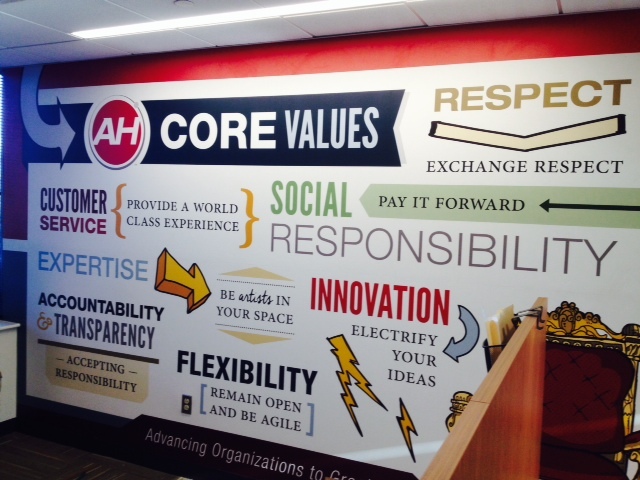 Perfect printed and mounted outside the office of AH’s CEO a 13-foot vinyl wall mural that highlights the company’s core values. This project is an example of Perfect’s large format printing capability, which can print materials that can be applied to walls, floors and other surfaces to permanently or temporarily transform interior spaces.